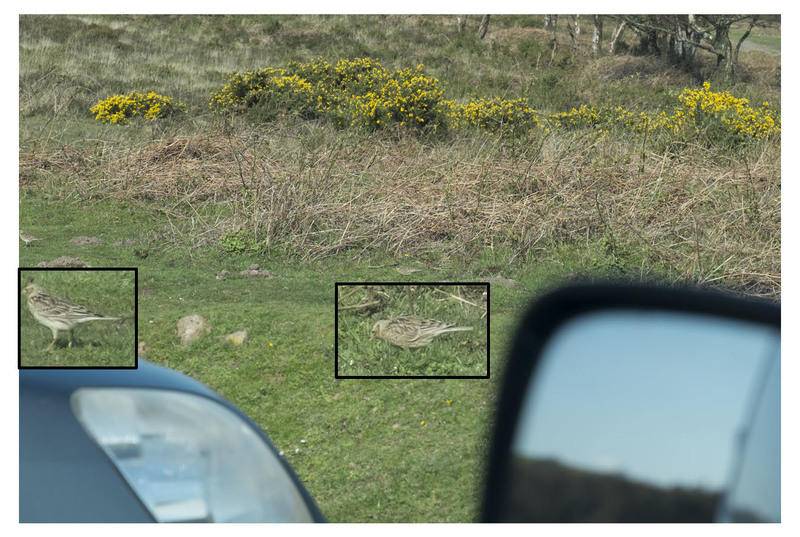 I saw these two birds, which I assume are male and female, walking across the ground in North Devon. The habitat was mainly gorse on Exmoor very close to the coast at Minehead. Apologies for the quality of the photograph, it was the only one I was able to get. If you post your photo as an Observation you are sure to get a response. There are birders on iSpot who can identify a bird on much less info than this. However, not many of them read the forums, which is where you have currently put tjis post. p.s If I knew what it was I would tell you, but I’m more of a flower & seaweed person.